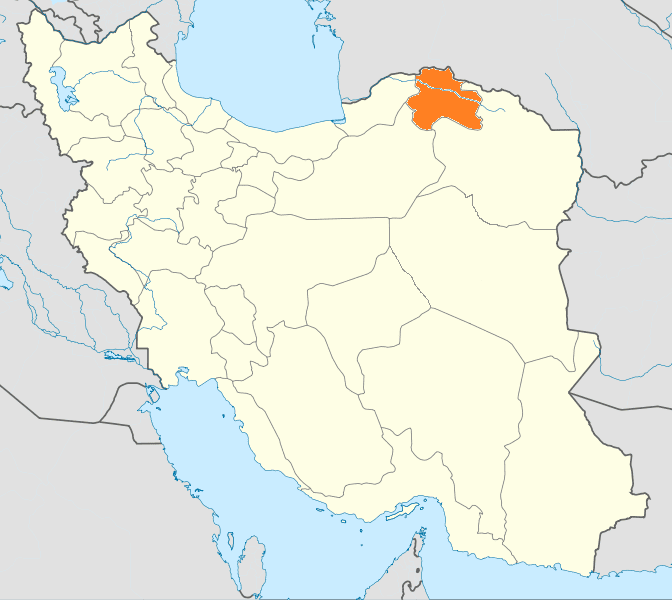 North Khorasan Province (Persian: استان خراسان شمالی‎‎, Ostān-e Khorāsān-e Shomālī) is a province located in northeastern Iran. Bojnord is the capital of the province. In 2014 it was placed in Region 5. Greater Khorasan has witnessed the rise and fall of many dynasties and governments in its territory throughout history. Various tribes of Persians, Arabs, Turks, Kurds, Mongols, Turkmens, and Afghans have brought change to the region time and time again. Ancient geographers of Iran divided Iran into eight segments, of which the most flourishing and largest was the territory of Greater Khorasan. Esfarayen, among other cities of the province, was one of the focal points for settlement by Aryan tribes entering Iran. 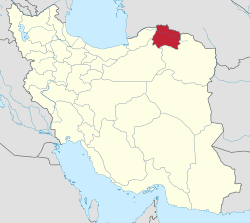 The Parthian empire was based near Merv in Khorasan for many years. In Parthian times, Esfarayen was one of the important villages of Nishapur. During the Sassanid dynasty, the province was governed by a Spahbod (Lieutenant General) called "Padgoosban" and four margraves, each commander of one of the four parts of the province. In the year 651, the army of Islamic Arabs invaded Khorasan. The territory remained in the hands of the Abbasid clan until 820, followed by the rule of the Iranian Taherid clan in the year 896 and the Samanid dynasty in 900. Khorasan was divided into four parts during the Muslim conquest of Persia, each section being named after the four largest cities; Nishapur, Merv, Herat, and Balkh. Mahmud of Ghazni conquered Khorasan in 994 and in the year 1037 Tuğrul Beg, the first of the Seljuq empire rulers, conquered Nishapur. Mahmud Qaznavi retaliated against the invaders several times, and finally the Qaznavi Turks defeated Sultan Sanjar. But there was more to come, as in 1157 Khorasan was conquered by the Khwarazmids. In 1220 was annexed by the Mongols of Genghis Khan. When in 1226 the great conqueror finally died, Khorasan was inherited by his son Tolui and then by Tolui's son Hulegu, the first emperor of the Mongolic Ilkhanate of Persia. In the 14th century, a flag of independence was hoisted by the Sarbedaran movement in Sabzevar, and in 1368, Khorasan came into the hands of Tamerlane. 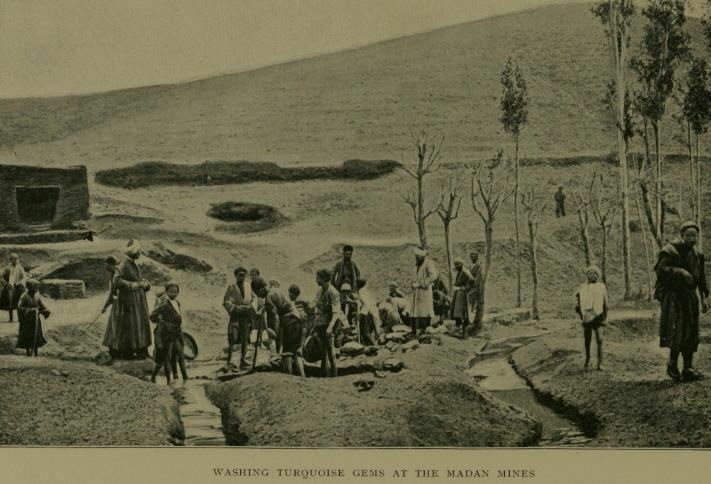 Previously there used to be a sizeable community of Arabs who settled in the area during the Arab invasion of Iran, however by 1875 they had intermarried so extensively with Persians and Turks that they were indistinguishable, having largely abandoned the Arab language and culture in favour of the local one. 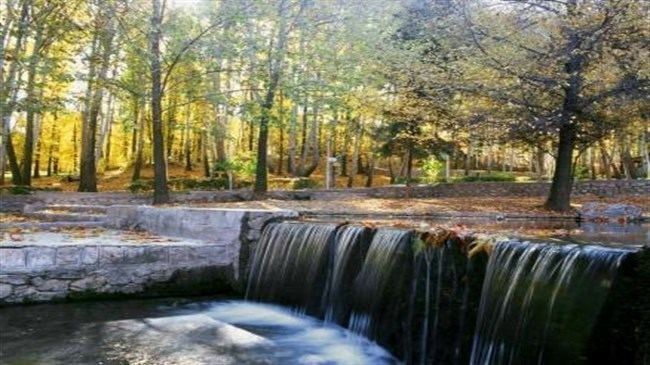 This province contains many historical and natural attractions, such as mineral water springs, small lakes, recreational areas, caves and protected regions, and various hiking areas. Most of the historical relics are from the Qajar era, as earthquakes continue to ravage older relics. The Cultural Heritage Organization of Iran lists 1,179 sites of historical and cultural significance in all three provinces of Khorasan.